The five-storey Tower Mill in Stickney was built in 1842 and worked until the late 1960s. In the last few years powered though by electricity rather than wind. In its prime the mill had four patent sails driving three pairs of stones on the second floor, with a further pair of millstones on the first floor driven by engine. The tower still stands and is now used as a store by a nearby engineering works. No milling machinery survives internally. An old photograph of the mill in Stickney, c.1933. 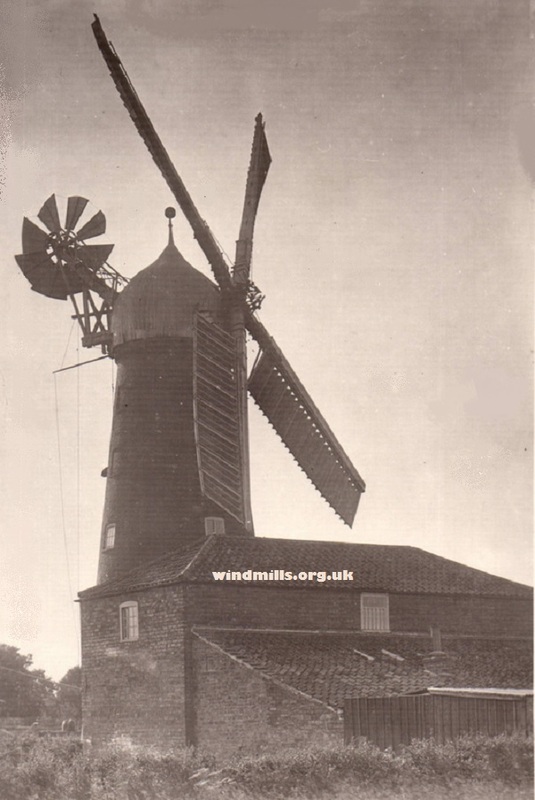 An old image of the windmill in Stickney, Lincolnshire, north-east England. This entry was posted in Old Images, Windmills and tagged Boston, Lincolnshire, mill, Stickney on November 10, 2015 by Tower Mill.